The Coralville Dam Loop is an 8.3 mile loop that circles the Iowa River and crosses the Coralville Dam. There are a few hills with 513 feet of climb. This is a great low traffic route that can be ridden quickly. There is a trailhead with portapotties at the Waterworks Park. It is the best place to start and finish this ride. There is plenty of parking. NOTE: A trail is under construction that will connect the Waterworks Trailhead to Linder Road. Many people will take the Waterworks Park trails to the water treatment plant to cross Dubuque Street to Linder Road. The new trail will make this much easier! The route starts on Linder Road, a quiet, wooded neighborhood with a winding road. At the end of Linder Road, take a left onto Prairie Du Chien. This road has a shoulder that is nice for bicycling, but has a very low traffic count. Follow Prairie Du Chien to the Coralville Dam. West Overlook Road will lead you across the dam and through the spillway. For a unique experience, visit the Devonian Fossil Gorge to see what was unearthed during the 2008 floods. The West Overlook area has a beach and two campgrounds. If you have a sweet tooth, stop at Funcrest (if open seasonally) for ice cream and snacks.  Turn off West Overlook Road to Dubuque Street and follow the Iowa River Corridor Trail. It will return you to the Waterworks Park trailhead.